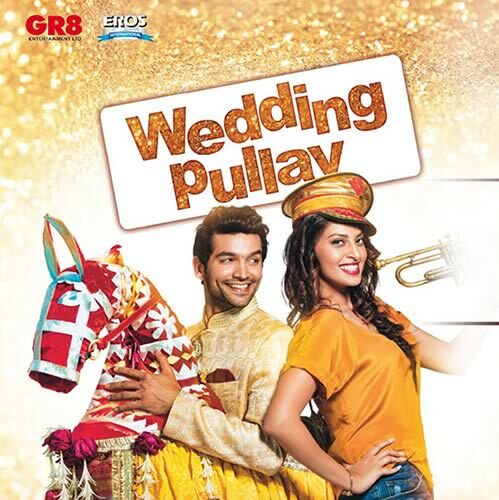 Wedding Pullav - All Songs Lyrics & Videos: A Indian romantic film, directed by Binod Pradhan, Produced by Shashi Ranjan, Anu Ranjan. The film stars Rishi Kapoor, Anushka S Ranjan, Diganth, Karan V Grover, Sonali Sehgal, Parmeet Sethi, Himani Shivpuri, Satish Kaushik, Kitu Gidwani, Upasna Singh. The film is a story about two best friends, who decided to get married to different people? Friendship gets confusing and love gets complicated at one mixed-up destination wedding. The soundtrack of Wedding Pullav was composed by Salim-Sulaiman & lyrics penned by Irfan Siddiqui. "Oh Janiya" was released on Aug 31, 2015 as leading single. The music rights for the film were acquired by Zee Music Company. The full audio album was released on Sep 24, 2015.